We’re not shy to say that Ginologist uses meticulous care and proven science to create some of the best craft gins in South Africa. One of its key selling points is its mastery of not one, but three different kinds of gin – floral, citrus and spice. 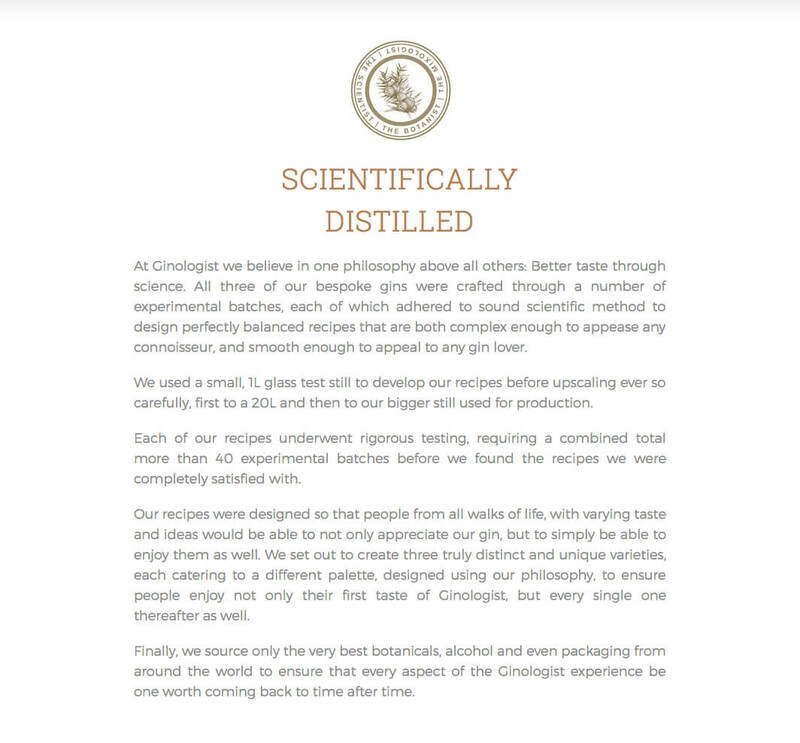 This focus became the core of The Website Engineer’s design approach for Ginologist’s new website in order to highlight as best as possible their flagship products. As the company’s products already appear on the shelves of hundreds of bars across South Africa and are soon due to hit the international market, we wanted to help them use colour, style and branding to project quality and create an aesthetic that would appeal to modern gin drinkers. 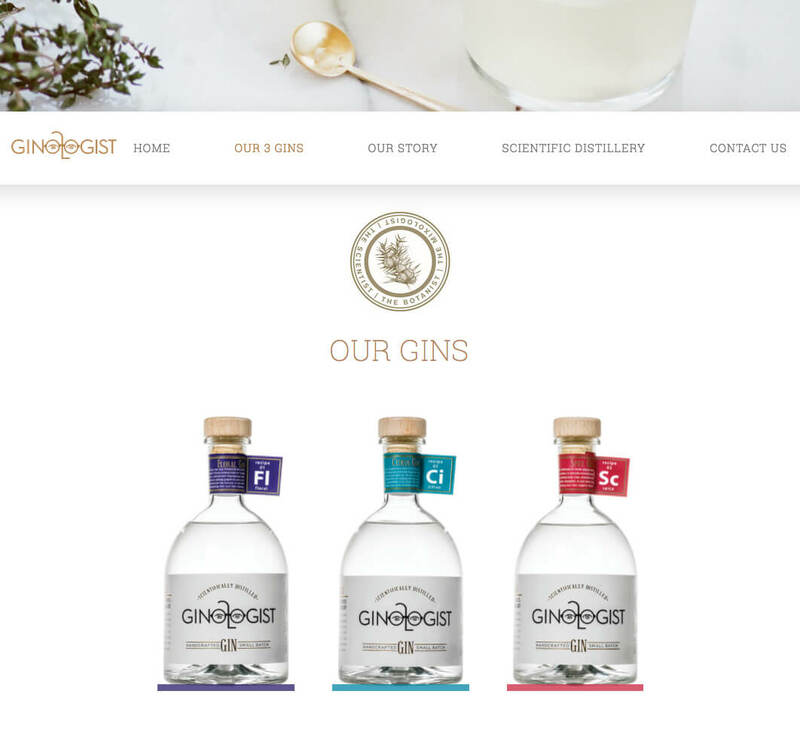 Just like their gin, Ginologist’s new website immediately sets the bar (no pun intended) when it comes to marketing a premium drinks brand. Using the principles of minimalism, primary colours and sophisticated graphic design, we kept refining their website until it fully embodied their brand. 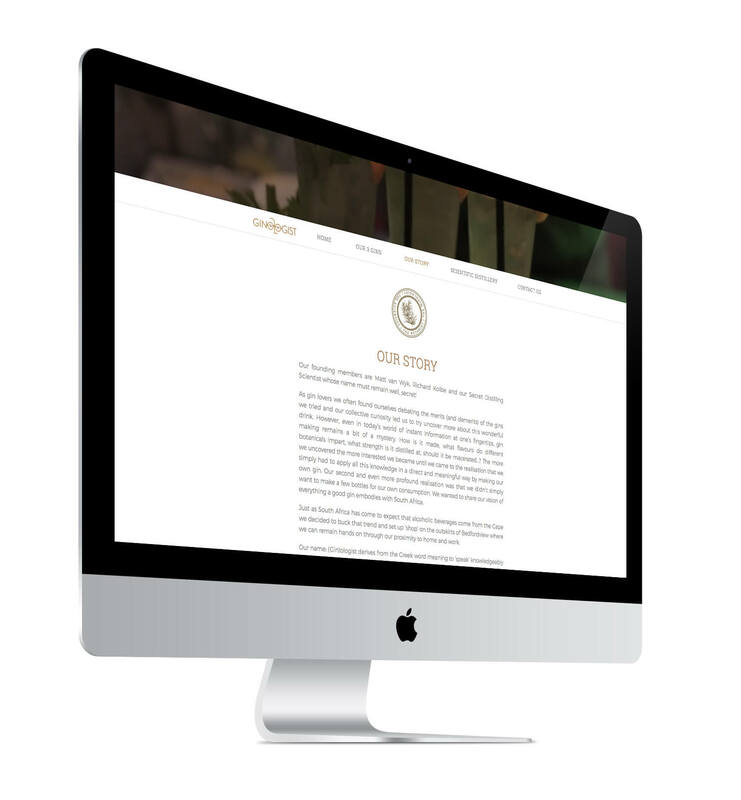 When Ginologist approached The Website Engineer, they already had a strong brand, they just needed to turn that brand into a great website – which just so happens to be one of the things we specialise in. It’s an approach that doesn’t seek to change the brand, but rather to help it communicate its message in a new digitall form. It’s a big part of one of our core business rules – focus on what the client wants, not what we think they want, because no one knows their market better than they do. 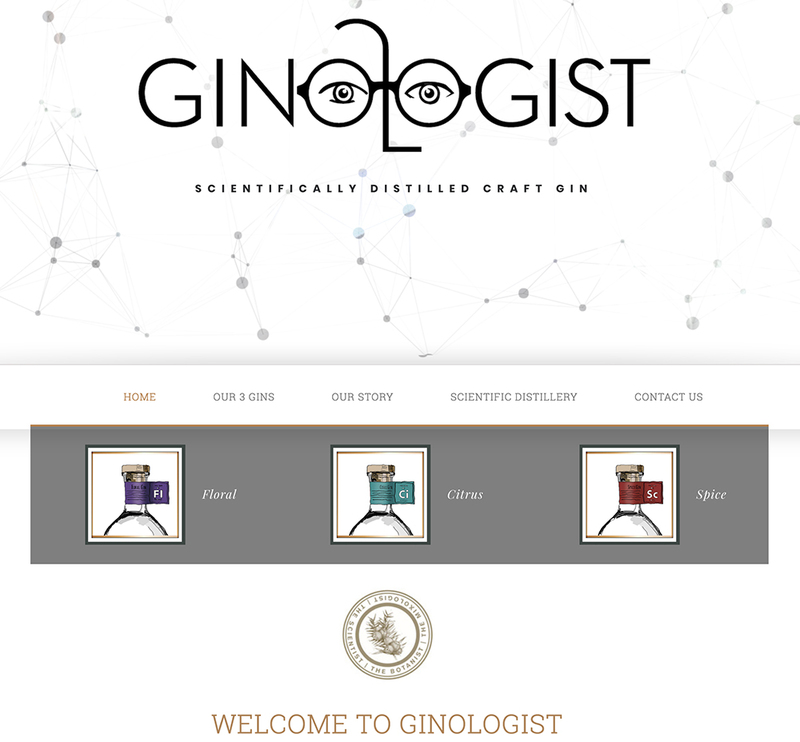 With that in mind, Ginologist’s new site became a resounding success.